The phrase, “put on your thinking cap” takes on a completely new meaning in this entertaining and fun adventure story. 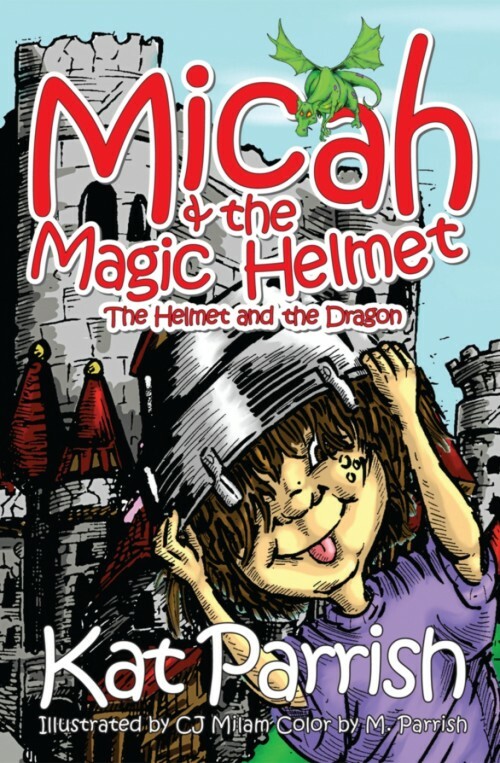 Micah’s imagination soars when she puts on her ‘magic helmet’ and takes a mythical journey to a land of dragons (they are funny so don’t be scared). Micah learns that fear can be conquered – and sometimes with just a simple gesture of friendship. This beautifully illustrated book includes games and even a special cake recipe to make in your own ‘Magic Helmet’ so you can have fun along with Micah!